When you learn what is wrong with legumes, you won’t want to eat them anymore either. I love peanut butter as much as the next person, so when I heard that legumes were “not allowed” during my Whole30, I was a little sad and confused! And I thought that beans and soy milk were good for me, so what gives? Well, I also thought that whole wheat bread was good for me, so let’s just say that I learned a thing or two. Legumes are typically grouped with grains, so chickpeas and lima beans are considered the same group as rice and oats. That may seem incorrect since many legumes are consumed different than many grains, but when you look at the structure of each food, you realize they are similar. Grains are seeds from a particular family of grains, and legumes are seeds taken from plants in the pea family. In some cases, legumes may contain the pods as well as the seeds. To understand why legumes aren’t the best food source for your body, you have to understand why plants produce these seeds. Every living thing wants to ensure its survival for many years to come. Animals procreate, spreading their seed from one generation to the next through natural mating routines. Plants want to spread their seed as well, but they aren’t as mobile as animals. Plants create seeds that are spread through the food chain. Tough seeds designed to withstand the digestive enzymes of animals are consumed, digested and eliminated by animals. These seeds are deposited in new locations after elimination, allowing them to take root and create new plants for more animals to consume. In order for this process of survival to work, plants must create tough seeds that don’t break down easily inside the body of an animal. Humans are animals, and that means legumes are created to withstand human digestive enzymes. This is why many humans have difficulty processing them, and they may not offer the nutritional sustenance that you expect from your food. 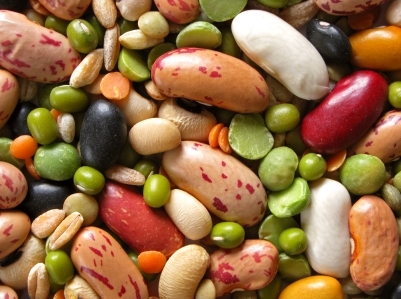 Legumes and grains contain special proteins that are essential to the growth of plant seeds. Lectin is one of the most dangerous proteins. These plant proteins bind to carbohydrates and make the seeds less attractive to insects. These proteins are considered dangerous for those living with autoimmune disease because they can increase permeability of the intestines. This may lead to leaky gut syndrome and cause other problems which the human body sees as a threat. That triggers the immune system and leads to inflammation. When legumes are consumed on a routine basis and the body recognizes them as dangers, the result is often autoimmune disease. If you already have autoimmune disease, these foods can worsen the condition even if you are working hard to combat inflammation and digestive issues. Many of the legumes consumed today are genetically modified. This is why you see so many foods now labelled “GMO free” if they contain legumes. Genetically-modified legumes are far more likely to cause inflammation and other dangers after consumption. Some legumes carry their own risks for the human body, such as the phytoestrogens naturally found in soybeans. These estrogens can interfere with the balance of hormones in the human body, causing a variety of potential health problems. You probably eat at least one of those foods on a daily basis, or at least did in the past before changing your eating habits. 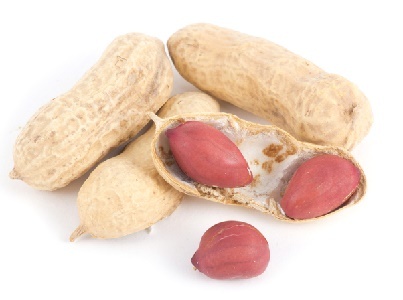 Peanuts are common snacks while beans and lentils are often combined with rice and other grains to create vegetarian meals. For anyone living with autoimmune disease or fighting internal inflammation, these foods are among the most dangerous food options in the grocery store. Are Legumes Hiding in Your Kitchen? The list of legumes above is fairly straightforward. If you eat beans and rice for dinner, you know that you are consuming a grain and legume. One of the biggest problems for those trying to cut legumes out of their diet is assuming that it really is that simple. Unfortunately, there are ways that legumes can get into your diet if you consume pre-packaged, pre-cooked or heavily processed foods. Even try to find a can of tuna without soy and you will find it difficult! There are some convenience foods which contain legumes, even when they are not the star of the dish. For example, some frozen meal starters may contain beans in addition to vegetables, noodles, rice and other ingredients. You may think you are eating healthy by picking up fresh hummus, but hummus is made from chickpeas. Some dips and sauces may also contain legumes. If you suffer from autoimmune disease or notice that you have digestive problems when you consume legumes, it is important to read labels carefully when selecting foods that are pre-packaged or pre-cooked. You may want to stick with fresh foods in their natural state so that you maintain complete control over preparing them for consumption. It takes more work to process raw foods into complete meals, but it is worth the effort if you can completely eliminate foods that cause discomfort or even endanger for your body. Legumes are designed to fight against digestion, so it is easy to see why your body may fight against them as intruders when they disrupt the digestive process. Cut them out of your diet for a month to see what difference their absence makes to your digestive and autoimmune problems. Robb Wolf, in his book The Paleo Solution, says: “In simple terms, dairy and legumes have problems similar to grains: Gut irritating proteins, anti-nutrients, and protease inhibitors.” YIKES! Also, when compared to a diet high in grass-fed beef, chicken, seafood, fruits, vegetables, nuts, and seeds, a legume-heavy diet simply cannot stand up. Aside from the fact that legumes have all the negative effects mentioned above, it just makes sense to choose the foods with the highest nutrient levels. Fruits and vegetables are far more nutrient-rich (yes, even fiber-rich!) than the beans in your chili, or the peanut butter in your smoothie. personally I think lumping beans with grains is a big mistake. We have had the use of fire for a very long time. Most paleos I know cook there food, and to prepare beans all that is needed is soaking and heat, both of which were available. Grains however are completely different, they need to be milled and processed in ways that were unavailable to us. I’m not knowledgable on where legumes cames from or started – but I know that if I found a wild bean it would take long to be able to work out how to grow it. What I am trying to say is that beans need very little processing to make edible – heat! Much like potatoes various tubers would have been dug up and cooked. All of these foods contain toxins in various amounts. Now if there was a study done to see if legumes actually caused disease I would be interested. However I have not seen one and yet legumes and grains are often lumped together. I have, however, seen plenty of studies linking wheat with disease but not necessarily other grains. I know from past experience that a diet of lots of legumes made me thinner and healthier, but a diet of mostly grain products made me fatter and sicker. Hi! Thanks for your comments! 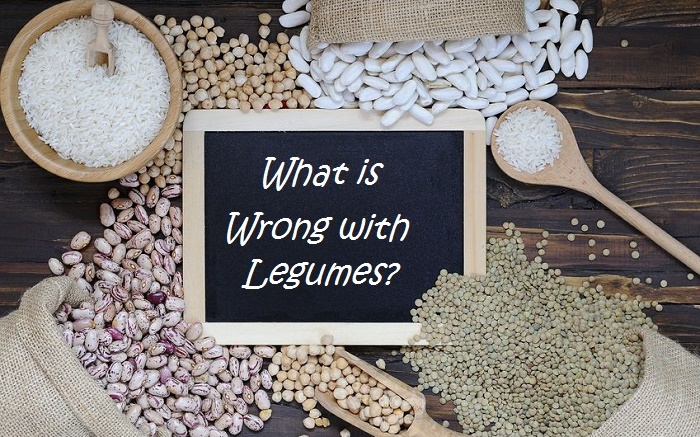 I don’t think I would say that legumes are AS BAD as grains, but they are certainly problematic for a large number of people, particularly for those with autoimmune disease. Robb Wolf has an excellent reference section in the back of his book, “The Paleo Solution,” that points to legumes as a major cause of gut irritation and inflammation. If you find that you can eat them without any problems, then enjoy! Some foods, like legumes and dairy, can be safely added back into a diet. After reading some of Robb’s research on legumes, I would not feel comfortable eating them even if they didn’t cause any noticeable problems for me (since I don’t know for sure that they are helpful to my insides), but that’s just me! Maybe I play it “too safe.” But I can say, from my own experience, that they cause my body to react in much the same way that grains do (my stomach swells, I feel very tired and bloated, and I have digestive issues). I also like to think about these types of foods on a comparative level. On the list of foods that provide the largest amount of vitamins, minerals, and other healthy nutrients, I am certain that vegetables, grass-fed beef, pastured chicken, and wild-caught fish would rise to the top, so those are the foods that I would rather be eating on a regular basis. Could it be your genes? I’m Greek and I consume anything without any problems. Legumes, milk, white bread, grains, any amount, any time. Agriculture has a very long history in the Mediterranean, so does milking mammals. Someone in these parts that did not tolerate these foods would have serious problems surviving. A Greek incompatible with wheat would be like a Chinese incompatible with rice. If your ancestors relied on hunting, perhaps your genes have trouble with some of the foods that are new to human diet. One should avoid what irritates his/her digestion but we can’t make rules for anyone. Even when there appears to be a scientific background, these foods have been in wide consumption for a very long time, they will not kill anyone. Nothing is completely safe. You might like fish, but a friend of mine who does research and has examined fish from many seas around the world called fish “filters of the sea”. They are loaded with heavy metals. Vegetable is not perfect either and meat has its problems especially in the badly regulated USA with the bovine hormone. So excited to see a fellow believer Paleo! Just discovered your blog/ website and I am very encouraged! I keep thinking that I can have a ‘little’ of this or a ‘taste’ of that, but I keep coming back to the same conclusion….my body just doesn’t do well with grains or sugar. Time to step it up and get rid of the things that are not doing me any good! Thanks for all the info! Good to hear, Jen!! You can do it! Thanks for your quick and clear summary. I was trying to remember what Robb’s book said about peanuts, so I did a search and found this post. Now I think I’ll buy your book.